Telecommuting, the gig economy, remote work opportunities and flex schedules are becoming more mainstream as technology makes it easier to perform most work from virtually anywhere. While remote working arrangements can provide employees with better work-life balance, they can present challenges. One of the most common is making sure remote employees feel connected to – and stay engaged with – the organization. A recent study published in the Harvard Business Review found that, compared to in-house staff, remote workers are more likely to feel like their priorities aren’t fought for and that other team members don’t value their input. Feelings like these can have a negative impact on productivity, job satisfaction and retention. To ensure your remote workers receive the same levels of attention, engagement and respect as in-house staff, your company should develop best practices for flexible working arrangements and utilize technologies that facilitate working remotely. The first step toward forging a lasting connection between remote workers and in-house leaders is consistent and regular communication. Instant-messaging services like Slack or Google Hangouts are effective for reaching remote workers in a flash, but you’ll also need something more personal than chatboxes and emails. Speaking with Forbes, HR executive Ashley Wilczek of Justice AV Solutions recommended conducting regular check-ins via Skype or other videoconferencing platforms. Scheduling preferences will vary among employees: Some will want a weekly one-on-one, while others will prefer biweekly or even monthly calls. The key is to make a schedule for these conversations and stick to it. Additionally, including remote workers in on-site meetings that involve their department can go a long way towards making them feel like a valuable member of the team. It also allows people to connect on a more personal level. What should these meetings be about? According to a Robert Half survey, 53 percent of professionals said they would appreciate knowing how their regular work responsibilities tangibly affected the company in a positive way. Since remote employees aren’t physically in the office where their impact may be more easily recognized, it’s important to ensure they understand their broader value. 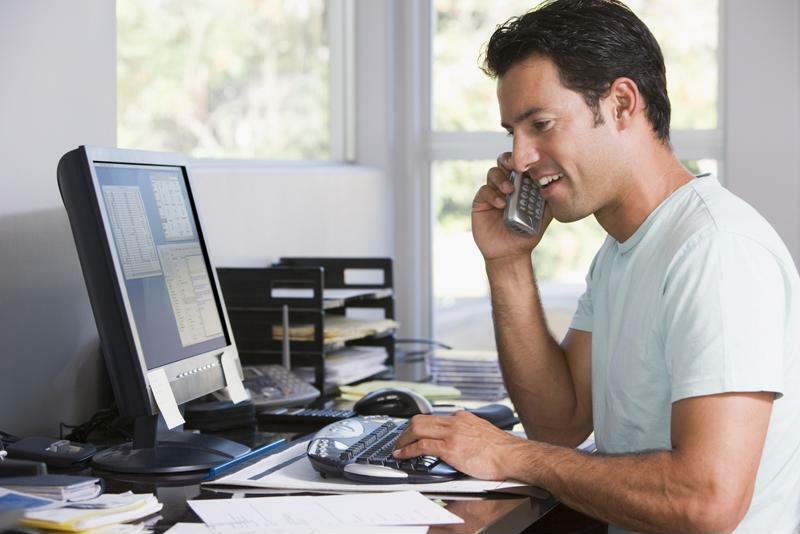 It’s management’s responsibility to help encourage greater engagement among remote workers. Remote workers can’t gather at the water cooler or catch up with co-workers over a cup of coffee. Connecting with colleagues on a personal level can help all employees feel more engaged at work so creating opportunities for remote workers to socially connect with others is another best practice to consider. Events like holiday parties should obviously be open to remote staff, but businesses can go one step further to bring casual conversation to everyday discussions: a Slack channel solely for informal banter, videoconferencing with workers when they want to be a part of the office book club, etc. If several remote workers are in the same city, consider having them use a shared working space or to meet once a week at a cafe to discuss work matters informally. How you encourage genuine camaraderie is not nearly as important as making sure remote workers take part and enjoy themselves. Long-term, experienced remote employees can be just as valuable when it comes to mentoring and professional development as an in-house manager or staff member. Seasoned remote workers can handle job rotation programs, which could bear significant dividends. They could also serve as mentors for new staff. Consider the employees in question and the particular needs of your organization to determine exactly how you will implement these plans. The key is not to rule out an experienced and knowledgeable team member simply because they don’t work in the corporate office. In some cases, remote workers aren’t just separated by physical space. Sometimes they come from different national and cultural backgrounds as the majority of in-house staff. Creating a diverse and inclusive culture is a goal every company should have, and that needs to extend outside of the company’s offices to your remote workers. For example, Inc. Magazine recommends avoiding phrases and idioms that are distinctly American such as metaphors involving American sports (i.e., referring to a manager as a quarterback or a successful project as a touchdown). Doing so could confuse or ostracize those who are unfamiliar with U.S. pastimes. TIP: Technologies like video conferencing, collaboration tools like Skype and Slack and an enterprise HR solution that includes employee self-service are essential for companies to successfully manage a workforce that includes remote employees. Contact PeopleStrategy today to learn more about how our eHCM Suite can benefit your entire team – remote and on-site.